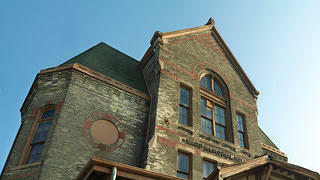 The Milwaukee Soldiers Home National Historic Landmark District is one of three remaining original Soldiers Homes in the country. It is an outstanding representation of the development of a national system of medical and residential benefits for disabled veterans. The homes were designed as places of refuge and recuperation for physically and mentally disabled soldiers who had survived the Civil War. 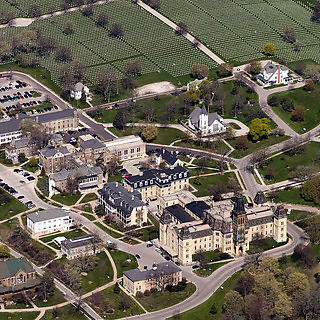 The Milwaukee Soldiers Home contains some of the oldest buildings in the VA system, and the majority of its recuperative village and designed landscape is still intact. 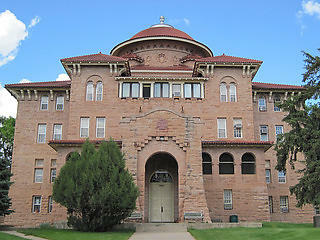 Old Main is the only original Soldiers Home building in the country designed to combine multiple basic veteran care functions under one roof. The Milwaukee Soldiers Home is beloved by veterans who believe its recuperative powers should remain accessible to aging Vietnam vets and returning Iraq and Afghanistan vets suffering from Post Traumatic Stress Disorder and Traumatic Brain Injury. 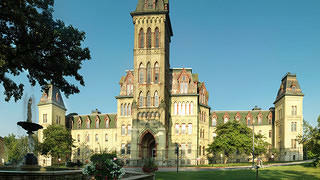 Detail of the Old Main Building that sits on the grounds of Milwaukee Soldiers Home. What started with an 11 Most Endangered listing on June 8, 2011, followed by a National Treasure announcement in November 2012, has resulted in the exciting news this summer that the Milwaukee Soldiers Home will be saved. 100 units of supportive housing will be provided at the site for veterans who are homeless or at risk of being homeless. The Department of Veterans Affairs is entering into an Enhanced Use Lease with a development team led by a Madison firm, The Alexander Company, who is partnering with the Milwaukee Housing Authority and other Milwaukee-based firms on the project. This $40 million historic tax credit project will result in the rehabilitation and adaptive reuse of six buildings within this NHL district that have been vacant and deteriorating for years – including the iconic Old Main building, built shortly after the Civil War. Create and fund a plan that will identify how to best reuse the vacant Soldiers Home buildings and how much it will cost to restore them. 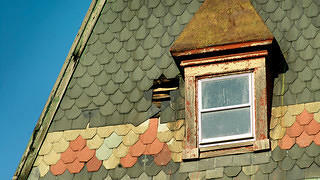 Find interested parties who can restore the buildings to provide services and treatment for veterans. 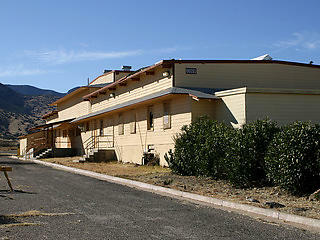 Save and reuse vacant buildings at the historic Soldiers Home to meet the needs of today’s veterans. Visit the National Soldiers' Home Historic District.